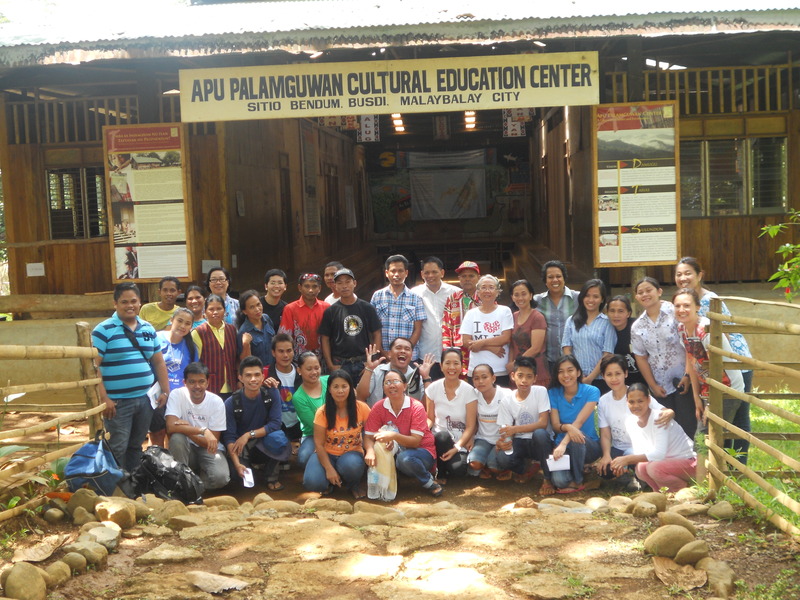 Conference participants in front of the APC school in Bendum. The challenge now is for us in the education community to share and develop the standards, skills and approaches that develop Philippine indigenous education institutions and educators into leaders in the field at an international level. This requires movement not only from those directly involved, but from the public and private agencies. These were the sentiments expressed during APC’s recent conference on developing management capacities in culture-based education. Held from May 14–17, 2013, APC was host to 50 participants from across the Philippines. 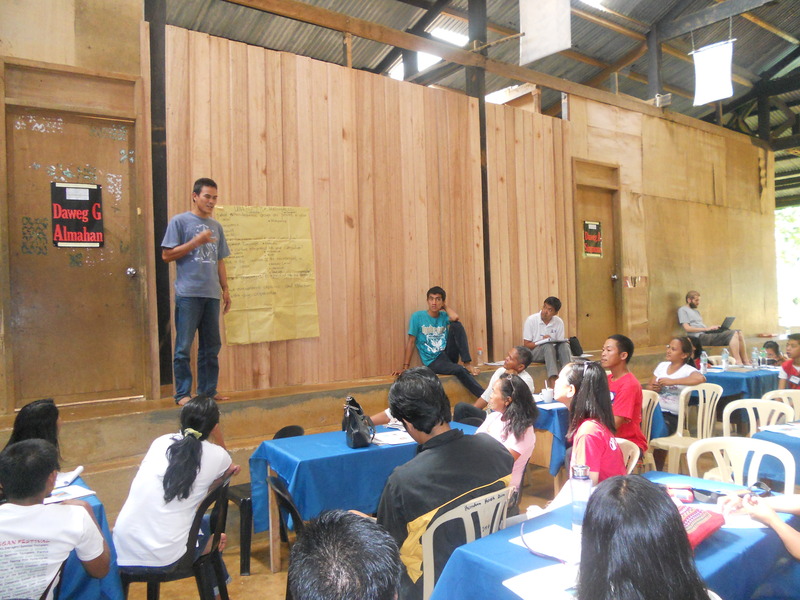 This included key note speaker Rozanno (Butch) Rufino, Coordinator of the Indigenous Peoples Education Office (IPsEO) and local DepED representative Edwin Gurrea, Indigenous Education Coordinator for Malaybalay City. From national non-governmental organizations were speakers Xinia Scoropinski, Roce Anog, and Junn Esteban from the Summer Institute of Linguistics (SIL), and Noemi Dumalaug from Translators Association of the Philippines (TAP). From the Jesuit community were Glenda Factura and Tara Marie Agolito, both working with Fr. Eric Velandria SJ at Xavier University in Cagayan de Oro, Bro. Flores from Loyola House of Studies in Manila, and Ricky Ogade and Leah Jane Ampoeda from the Fr. Leoni Lumad Mission School in Cabanglasan. 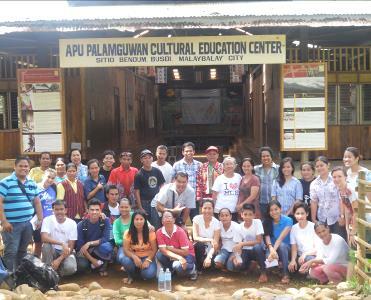 The other participants included APC staff and teachers, ESSC staff, as well as representatives from 11 other indigenous education institutions from across Mindanao. While the first day’s proceedings served to reinforce our understanding of how mother tongue-based multilingual education is so much more successful both for the students’ personal well-being and their academic performance, the conference was also a chance for participants to discuss the more holistic aspects of life in indigenous communities – i.e. other factors which affect their abilities to provide indigenous education. Most of the institutions which provide front line services direct to indigenous communities expressed the difficulties they found in relating with government and large businesses. Some groups had come directly into contact with plantation companies over the right to ancestral lands. This loss of Indigenous Peoples’ ancestral domain had in effect changed the role of Indigenous Peoples from land owners to laborers on their own lands. This concern was also shared by groups who had had contact with mining companies. 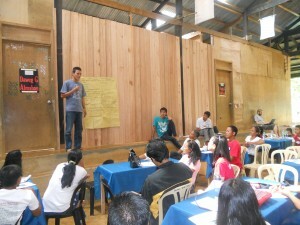 A major concern for some participants was how they could achieve financial sustainability, as they struggled to make connections with local government units and other government agencies such as the DSDW, NCIP or DepED to make use of relevant support funds such as the LGU allowance for indigenous teachers. Building strong communications and receiving engaged responses was expressed as a major challenge. 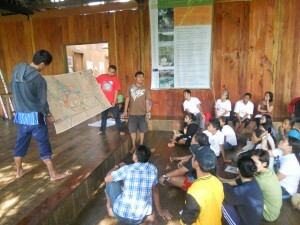 To these voices some were able to share their positive experiences and suggest strategies. APC has devoted much time to building community linkages, although at times we have also struggled to resolve concerns that threatened school operations and community stability. From the different discussions, the participants learned how different approaches have succeeded in different places, and while we took relief that our experiences and struggles were shared, we also learned that we come from different places and have differing goals, so for each of our challenges, we must consider the geography, economy, and the cultural and political landscape. For APC, this has been a breakthrough in understanding how we might move forward and assist other institutions, individuals and communities. This has been the first indigenous education conference held in the community context of Bendum, and it has proved a powerful factor in both deepening the resolve of both our teachers and visitors to broaden their own skills and the skills of their community, co-workers and students. Bendum is becoming a place where people can achieve peace, reflect, and are strengthened. From this conference, it has also become clear that there is a need for institutions and individuals to move beyond the simple celebrating and advocating for Indigenous Peoples’ ability to teach their own arts, crafts and skills. We must also realize that there need not be any trade-off between ensuring children have a strong grounding in their language and culture and having them develop the competencies required to advance in the formal education ladder. At APC, we are now developing the methods and activities by which we can offer information and training to other indigenous educators in the public and private sectors. It is our hope that we can be host to an annual conference of indigenous educators in Mindanao. From the participants’ feedback, we know that there is a demand for fora in which indigenous educators can share experiences and ideas, be informed about current issues relating to indigenous education, and speak directly with government agencies. Such gatherings have to be held in an environment that reflects the indigenous experience in education and where participants from across society can talk on a level with each other.